U.S. brands seeking to develop an international presence must learn new rules if they hope to succeed abroad. Beyond the usual concerns of differences in language, culture, laws, dietary preferences, and ways of doing business, brands must define a set of clearly articulated reasons for overseas expansion. Kay Ainsley, managing director of MSA Worldwide, lays out the fundamental questions brands must ask themselves - and answer - before setting out to develop beyond their borders. Note: This article previously appeared in our Franchise Update International Report newsletter. To keep up on international developments and opportunities, subscribe here. An international presence can add prestige to a brand, instill pride in employees and franchisees, and add to a company's bottom line. For franchisors going international, selecting the right markets and franchisees will greatly improve their chances of success. If not carried out correctly, however, this can be a costly drain on a company's time, energy, and money. Other questions to address: Will the economics of the business be the same or will your economic model need to be modified? Are modifications needed to your IT network? Does your brand translate into other languages? Will your marketing message work, and how will marketing and advertising programs be developed for new markets? Does your staff have the bandwidth to take on a new project? Begin the matrix with issues that will quickly eliminate a country from your list. These might include protection of intellectual property, ability to repatriate money, recognition of contract law, acceptability of franchising, infrastructure, and governmental, political, and economic stability, to name a few. Much of the information for this portion of the matrix is readily available online on sites such as the CIA World Fact Book, the Heritage Foundation/Wall Street Journal Index of Economic Freedom, and The Economist Intelligence Unit's Global Forecasting Service. Once a market clears the matrix hurdle it may be worth a deeper dive. Assess competition in the market -- for both consumers and franchisees. Estimate the potential the market offers and the effort it will take to achieve that potential. Determine the amount of marketing that will be required to establish your brand in the new market. In addition to information available online, speak with your suppliers and vendors, industry trade associations, the U.S. Department of Commerce, and others who may have insights into the market you're considering. Finally, visit the prospective market and spend some time there to get to know the market conditions, consumers, competition, and business practices firsthand. 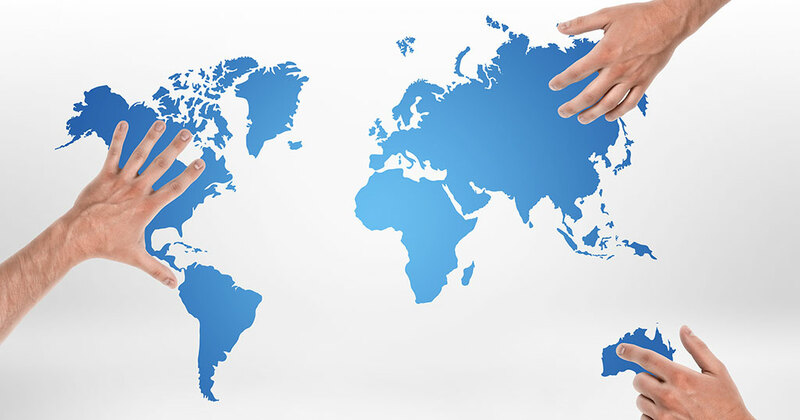 As many franchisors begin to recruit franchisees in their target markets, they experience both the push and pull of international franchising. There are countries that the franchisor has targeted, and there are prospective franchisees who want to bring the concept into their country. Using the matrix to quickly evaluate a requested market and taking the time to determine the qualifications of the potential franchisee can enable a franchisor to seize a great opportunity -- and avoid the opposite. The right market provides a powerful head start, and the right franchisee can fill gaps in the franchisor's ability to provide support, help the franchisor overcome obstacles in the marketplace, and have a positive effect on the brand's growth. When you get them right the stars are in alignment for great success.